Customer Onboarding: This includes registration, activation, environment configuration and the initial training required to access the software. Customer Handholding: Here the user is walked through the software modules and is prepared to transact through them. Transacting Customer: A mature user who routinely engages on the software platform. Dipping Customer: This is the early stage of the customer losing interest; which potentially leads to eventual churn. Lost Customer: A user who ceases to engage actively on the platform resulting in no business. Come to think of it; every customer gets onboard a software platform with the hopes of meeting certain outcomes. This is more pronounced for B2B enterprises where the actual user operates not in an individual capacity, but as a business user looking for objective business gains. In that sense, there could only be two causes for a customer to move onto stage 4 & 5 (above) — either the nature of the business has changed, or the expected outcomes are not being met. More than often, the latter is the cause. Customer Success addresses this problem at the very heart of it. It ensures maximization of value to the customer right from initial onboarding to regular transactions. The belief is simple — the platform succeeds if its customer succeeds. Hence Customer Success Management attempts to put the customer as the focal point of all enterprise activities. To achieve this, it bundles all activities ranging from Sales & Marketing to Customer Complaint Management and aligns them to provide a better customer experience. This customer experience is monitored through various Customer Success tools such as CustomerSuccessBox, Gainsight, Totango, etc., leaving room for timely corrective and/or preventive actions as necessary. How do you know whether your company is growing, stagnant or on a downward trend? Knowing where the company stands is important because it will help you take steps to make sure that the company moves in the right direction. Instead of just making a guess about the current situation of the company, the best way is to take help of data points because data never lies. So, it is critical that we focus on customer success metrics that will help us decide on what to prioritize next. However, there is so much data that can be measured that we can get confused due to information overload. For example, if you are a pilot and your plane is at an appropriate altitude. Then, your focus will be on the speed, figuring out whether you are going at optimum speed or not, and taking necessary steps if the speed is not optimum. But if your plane is at low altitude, then your center of attention should be the height and not speed. In this case, if you concentrate on speed alone, it might lead to a crash. Similarly, you need to make sure you are measuring the success metrics that will boost your company growth. It is the average amount of revenue per customer or revenue generated per account measured in a defined period of time usually in months or years. It is useful for the analysis of a company’s revenue generation and growth at a per-unit level that helps in classifying high and low revenue products. The advice is to measure ARPA for new and existing customers separately if there has been a significant change in pricing. It helps to understand the evolution of ARPA by providing a more accurate average revenue per account. There is no change in the formula. Only the process breaks into clusters of existing and new customers. In a wide pricing range, ARPA may not produce a true result. Thus, it must be tracked the context of other key customer success metrics. LTV (Lifetime Value) is an estimation of the average gross margin contribution of a customer over the life of the customer. Let’s face it. Acquiring new customers is far more difficult and expensive compared to increasing the revenue expected over the lifetime of an existing customer. Also, it is a reliable way of growth because LTV, if managed well can account for the majority of revenue coming from repeat purchases. It is the most important metric to show how the company has improved over time, how much should be invested and how it will impact the growth. The ratio is 3:1, i.e., the LTV is 3 times the CAC, implying that for every dollar invested your return is 3 times or $3. What we can infer from this is that if you wish your business to grow and prosper don’t let the number fall below 3. Usually, a lower ratio suggests that the investment is too much. A ratio greater than 3 suggests that the company is getting a good return on the investments made. So does that mean the higher the ratio, the better it is? Just like an excess of everything is bad, so is the case here. A higher ratio like 7 or 8 suggests a huge return on investment. Also at the same time, it means that the company’s growth is being held back by underspending. If Discounted Cash Flow (DCF) is taken into consideration, then according to David Skok, the ideal value of the ratio must change to a lower number. One of the most important or standard metrics, is the ratio of the number of customers who canceled their subscription / did not renew it to the total number of customers you had. It defines or limits the largest size the business can achieve. Hence, it becomes even more important to know the reason for your churn so that you can be proactive and prevent it. It isn’t much of a problem for small start-ups since 3% churn rate with 300 customers, i.e., churn of 9 customers, isn’t a huge loss. However, for a company with 30,000 accounts, a 3% churn equals 900 customers and acts as a growth inhibitor for the company. There are several types of churn but we’ll be looking into the most common ones — Customer Churn and Revenue Churn. The names give away the definition. Customer churn occurs when a customer cancels his/her subscription. Revenue churn is the loss in revenue caused due to churn. You must be thinking they both seem pretty much the same and calculating one would give the other one. Right? They are quite different. Let’s take an example. A company has 100 accounts out of which 50 pay $100 per month and the rest pay $1000 per month, thus having a total MRR of $55,000 (100*50 + 1000*50). Now, suppose that the company experiences a 10% customer churn rate, i.e., 10 customers churn out and 9 out them are small accounts. Now, if the remaining members from small accounts upgrade their subscription to $200, then we observe that the customer churn rate remains the same but the revenue churn rate decreases to a negative 4%. See how different these two are. Thus, both must be measured to get a complete picture of the situation. It is the sum of expenses a company undertakes usually in the form of technical support to keep and cultivate its existing customers. Calculating CRC involves the addition of all the costs necessary for customer retention and engagement. CRC is helpful in measuring the performance of companies, calibrating their financial health and steering their investment decisions by helping them determine the areas of concern from a product perspective. It also assists the development team to determine the best feature upgrades and ensures that the sales department targets the right market. The CRC metric combined with CAC forms the basis for measuring the success of a subscription business. It is used to measure the amount of additional recurring revenue obtained from existing customers through add-ons, upselling and/or cross-selling. Expansion MRR generation is valuable for long-term profits and growth as it costs less than acquiring new customers. It indicates that the customers are receiving more value and the product’s usage is increasing. Calculating MRR expansion involves adding up all additional revenue from current customers that occurred within the month. Expansion MRR can also be a negative churn indicator. A good Expansion MRR rate usually indicates that you have a negative revenue churn rate, i.e., the revenue collected from the existing customers is more than the revenue lost to the ones that churned out. Customer health score predicts a customer’s probability of churning out from the company by providing an insight into a customer’s account. It allows the company to be proactive and take the required steps based on the Customer Health Score. It usually consists of many smaller metrics that help determine the current condition of the account. The problem is that there are no standard Customer Health Scores. Hence, each company will have to find out the indicative metrics that will contribute to its health score. The first few trials will be messy, needing continuous alterations. 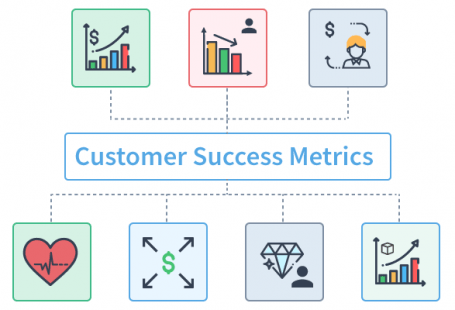 But as the customer success metrics become more and more refined with time, the efforts will start to show their results. The Customer Health Score depends on usage statistics and specific goal-oriented objectives associated with the product based on the product usage, customer satisfaction and relationships with the customers. A few key factors are — usage frequency, product stickiness, ticket volume per user, product adoption, quality of relationship with a customer, response time to the first request, average logging frequency and more. 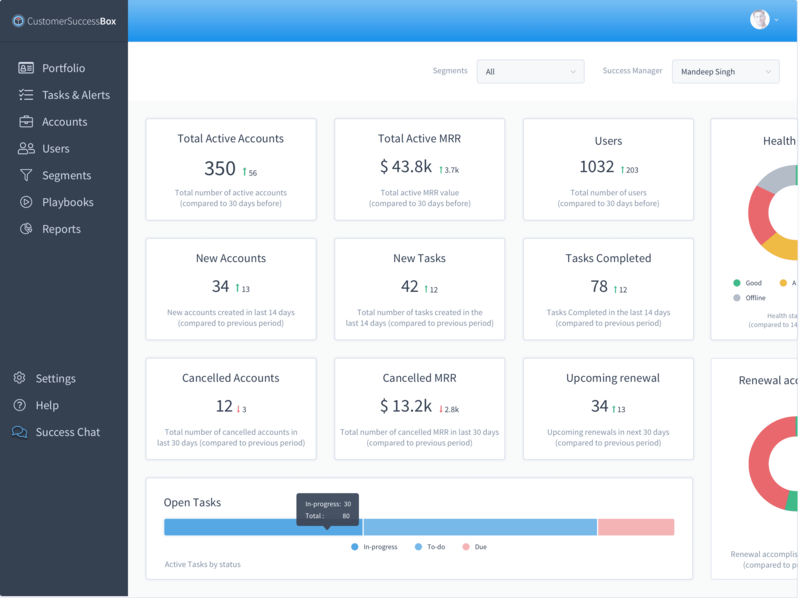 B2B software companies usually choose a customer success platform to monitor customer health scores and take proactive actions to reduce churn, drive up-sells, and grow revenue. 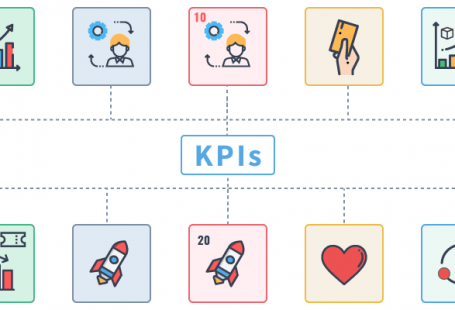 Figuring out the right customer success metrics for your company is the first step. It would answer the questions that help the company analyze the situation and the customers achieve their goals. Despite being the barometers of success, at times situations may arise where these metrics may raise questions instead of answering them. This happens when a CSM team works on several metrics resulting in over analysis. This often leads to a scenario where the company starts to obsess over data and other departments don’t get to contribute their bit. To avoid such analysis paralysis, the CSM team must track only a few success metrics that are a true measure of success for the company. 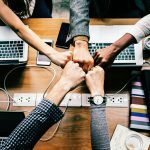 This story was published in picksaas Medium publication, the blog about SaaS software.